ZURICH – Lionel Messi took home a record fifth FIFA Ballon d'Or trophy on Monday when he was announced as the 2015 Men's Player of the Year winner ahead of teammate Neymar, and rival, Cristiano Ronaldo. 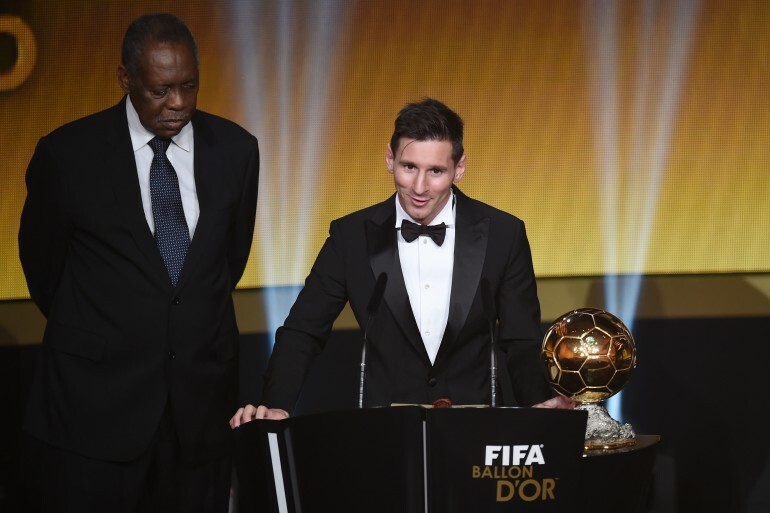 The best in the sport of soccer descended upon Switzerland on Monday for the 2015 Ballon d'Or ceremony. The awards show celebrates the games best players, coaches, and goals over a nearly two-hour ceremony. The ceremony started with a rousing performance by 2 Cellos, who did there cello rendition of ACDC's "Thunderstruck." British pop singer, Leona Lewis, also performed later in the show. Irish actor, James Nesbitt, and the strikingly beautiful, Kate Abdo, hosted the show as they introduced the nominees for both male and female players of the year. Minutes before the announcement of the 2015 FIFA Ballon d'Or winner was announced, USA's, Carli Lloyd, took home the trophy for the Women's Player of the Year. For the eighth consecutive year, the award for best male soccer player of the year came down to FC Barcelona's Lionel Messi and Real Madrid's Cristiano Ronaldo. Messi just edged out his closest rival with more team accomplishments as FC Barcelona won five major trophies last season including the coveted, Treble.